The Golden Knights have signed 26-year old forward Nikita Gusev to a one-year entry-level contract. Gusev was the MVP of the KHL last season and will likely win the award for this season when it is handed out. 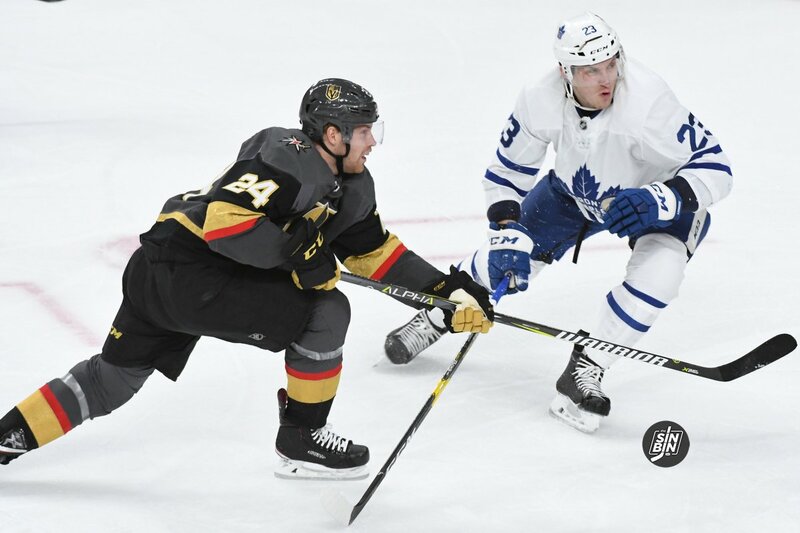 Gusev is eligible to play in the playoffs for the Golden Knights because he was on Vegas’ “Reserve List” at the Trade Deadline. Multiple Golden Knights have told us that they met Nikita Gusev this morning. Everyone described it as brief. The Golden Knights have signed 23-year-old defenseman Jimmy Schuldt to a one-year entry-level contract. Schuldt was the captain of the #1 ranked team in the NCAA and is a finalist for the Hobey Baker award given to the best college player. He attended Development Camp in Las Vegas last summer. It was the fourth different Development Camp he had attended since enrolling at St. Cloud State University, the others were Montreal, Chicago, and New York (Islanders). Schuldt is 6’1,” 205 pounds. He’s a very good skater and is terrific with the puck. He scored 10 goals each of the past two seasons at St. Cloud State and tallied 38 and 35 points the previous two seasons. He has a strong shot and is responsible in his own end, but what I remember most from Schuldt while he was at Camp in Vegas was his decision-making. Due to the CBA, Schuldt’s contract is a one-year entry-level deal that will expire on June 30th, 2019. He is ineligible to play for the Golden Knights in the postseason, so we won’t be seeing much of Schuldt any time soon. Once his contract expires, he’ll become a restricted free agent (RFA) and remain under Vegas’ control. He can then sign a longer-term deal, which has likely already been discussed. Mark Stone has officially signed an 8 year contract extension at $9.5 million AAV. According to multiple reports, the Golden Knights have acquired forward Mark Stone via trade from the Ottawa Senators for Oscar Lindberg, Erik Brannstrom, and a 2nd round pick. Mark Stone is a 26-year-old forward who has scored 28 goals this season with 62 points. Stone has reached 60 points in four of his five full seasons in the NHL. McPhee says they like their defense depth both at the prospect level and the NHL level. Says that depth allowed him to make this type of move. McPhee says this deal does not effect a potential contract on William Karlsson in any way. Says they don't want to be hamstrung in any way and they won't be. Stone is expected to sign an extension with the Golden Knights. Stone’s AAV on an eight-year deal with VGK is $9.5M. Keep in mind, one place where VGK has excellent depth is on defense. Schmidt (2025), Theodore (2025), Miller (2022), McNabb (2022), Whitecloud (2020+RFA), Hague (2021+RFA). There simply weren't spots for everyone, while there is plenty of room for scoring. In 2018-19 the Golden Knights traded a 1st (Brannstrom), 2nd, and Oscar Lindberg for Mark Stone. 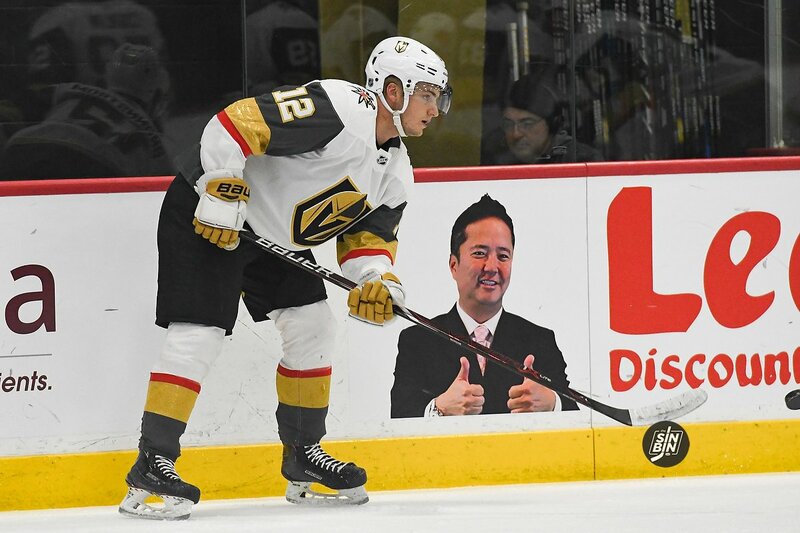 The Golden Knights have traded defenseman Brad Hunt and a 6th round pick for a 5th round pick in the 2019 Draft. The Wild have multiple 5th round picks (their own and Washington’s), Vegas will get the better pick. Fleury is the only Golden Knight to be named to the Pacific Division roster. This will be Fleury’s 4th appearance in the All Star Game. Last year Fleury won the shootout competition at the Skills Challenge. He will likely defend that title on January 25th. The All Star game is being held in San Jose on Sunday, January 26th. McPhee says the suspension had no bearing in the negotiations of this the Schmidt deal. "It's easy for a player to buy in if they get what they want. They want to be here, so the bottom line is if you want to stay here let's get it done, and get it done now." -McPhee on players "buying in"
McPhee says getting the deals done now will make the team better in the future. Spoke about the cap going up every year and how using the space in the next few years will allow them now freedom down the road. 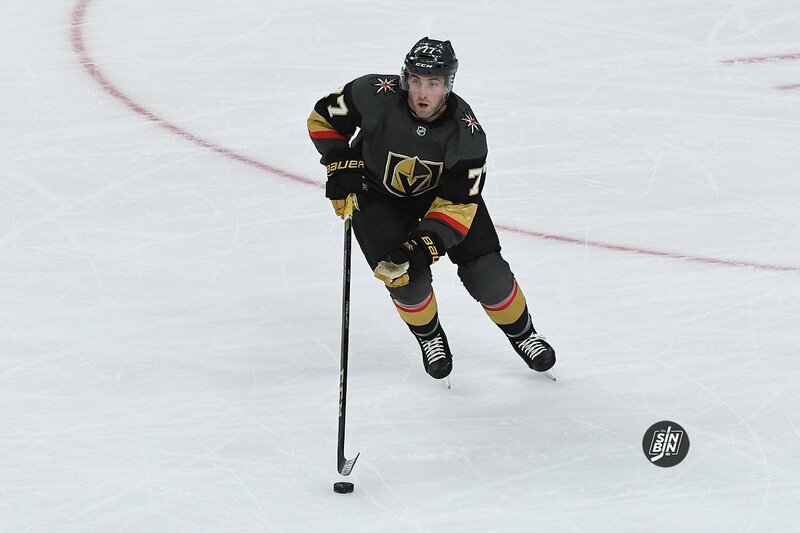 Per a report from Elliotte Friedman (subsequently confirmed by VGK) the Golden Knights have locked down forward Alex Tuch to a 7-year contract extension worth $33.25 million. Tuch’s contract begins next season which means he’s under contract with the Golden Knights through the 2025-26 season. His cap hit remains the same ($925,000) for this season and the $4.75M begins next year. The deal is similar to Shea Theodore’s deal in that Tuch appears to be slightly overpaid at the moment to become a steal salary-wise in a few years. Tuch has yet to step on the ice this season after getting injured in one of the final preseason games of the year. This deal is obviously a good sign that the Golden Knights have no concerns about any lingering effects of the injury.